Toyota Motor Corporation became the lead investor in Grab Holdings latest financing round as it injects USD 1 billion into Southeast Asia’s leading ride-sharing service provider that will see the parties strengthen and expand their existing collaboration in connected cars to further push the adoption of new mobility solutions across the region. Apart from being the lead investor this round, the move also makes Toyota’s funding the largest-ever by an automotive manufacturer in the global ride-hailing sector. Grab’s goals are to create a more efficient transport network that will ease traffic congestion in the region’s megacities, make mobility more accessible and provide their driver-partners with increased income opportunities. Part of the move will see a Toyota executive appointed to Grab’s board of directors and in return, a dedicated Toyota member will be seconded to Grab as an executive officer. Furthermore, Grab will work with Toyota on the latter’s connected cars function on the Toyota Mobility Service Platform (MSPF), such as user-based insurance, financing program and predictive maintenance that will eventually see both rolling out connected car services, such as telematics-based insurance that could reduce the cost of insurance premiums for safer Grab drivers. Grab currently operates in 217 cities across eight countries and offers users affordable transport, food and package delivery, mobile payments and financial services through its mobile app. The investment will allow Grab to further expand its range of services, such as GrabFood and GrabPay, deeper into the region. 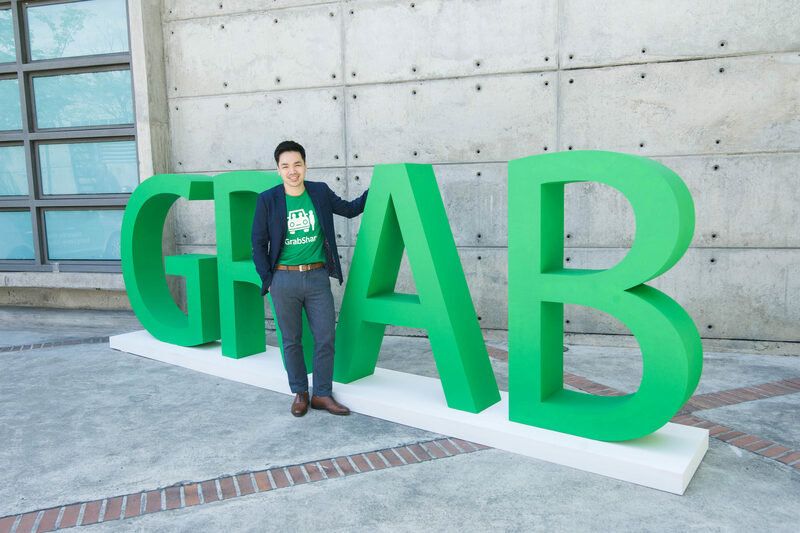 “Grab is the first Southeast Asian technology startup to have achieved run rate revenues of over USD1 billion across an installed mobile base of over 100 million users. Our rapid user and revenue growth is a testament to our ability to hyper-localise, efficiently execute and provide the highest efficiency platform in a region as diverse as Southeast Asia. We’re honored to be supported by industry leaders including Toyota, Uber, Didi and SoftBank,” said Ming Maa, President of Grab. “I’m delighted that we’re strengthening our collaboration, which utilises Toyota’s connected technologies, with Grab. Going forward, together with Grab, we will develop services that are more attractive, safe and secure for our customers in Southeast Asia,” added Shigeki Tomoyama, Toyota executive vice president and president of Toyota’s in-house Connected Car Company. To date, the Grab app has been downloaded over 100 million times, giving passengers access to over 6.6 million drivers and agents, and the region’s largest land transportation fleet delivering over 6 million rides per day. Grab offers the widest range of on-demand transport services in the region, in addition to food and package delivery services. Grab’s food delivery service, GrabFood, is the only food delivery company operating across Malaysia, Singapore, Vietnam, Indonesia, Philippines and Thailand. Grab Financial increases access to cashless services for millions of Grab customers and connects the underserved and unbanked population to financial services.